Traditionally, many manufacturers see themselves as ‘widget producers’, with profits coming from either selling large quantities or fewer, yet more sophisticated products. That world is changing. Smart manufacturers are realising they can increase customer loyalty gain a greater share of the profits across the life-cycle of their own products by creating associated services around their goods. GE Healthcare are known as manufacturers of complex medical devices such as MRI (Medical Resonance Imaging) machines. Since their servitization journey began in 2000, they have extended their reach into customer organisations dramatically. They now offer remote monitoring and maintenance of their own equipment and will even service other manufacturers’ devices, too. In addition, there is a rich seam of consultancy as they also help clients to specify, budget and fit out an entire hospital in the process. Depending on the contract, it’s entirely possible to pay £30 million for a Rolls Royce commercial jet engine. Putting that into perspective, each one of the titanium fan blades in a typical engine costs the same as a family car. It’s a complicated product with up to 50,000 parts – and that makes life for airlines unpredictable. Rolls Royce’s solution is to remove the risk from the customer entirely: their servitized model is charged on a $/per engine flying hour basis and includes all necessary maintenance; thereby generating an attractively clear and predictable operating cost. How about Xerox? It’s one of the few brands to have made the transition to becoming a verb in its own right, having invented the first plain paper photocopier in 1959. Through their ‘Centralised Print Assessment Service’, they’ve become a soup-to-nuts document and creative services outsource provider. They explore their clients’ setup, then create a bespoke solution for new efficiencies and cost savings. In 2012, half of Xerox’s revenue came from services alone! See a future in servitization? There are challenges! You’ll be spending a lot more time with your customers getting to know their challenges. How will you save or make them money? If selling B2B, what could disrupt them? When GE Healthcare embarked on servitization, each sale cost twice as much and lengthened the sale time by 30%. Can you resource this? If your sales team are used to selling boxes, moving to a consultative sell can be a cultural challenge, too. You may have Presses and CNC machines. But what about any new retooling? And what about the upgraded IT capability which is usually required to manage these new closer client relationships and financial structures? Servitization is a new mindset. ‘This is how we’ve always done it’ just won’t cut it anymore. Will your existing staff need to reskill? And have you the capacity for a new type of business development? You may need whole new classes of people. 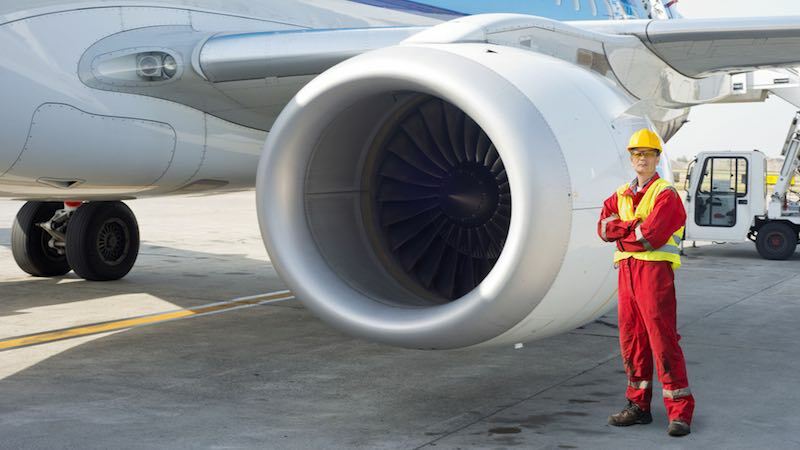 If the new offering generates data (think Internet of Things enabled products for example, or the thousands of pieces of data those Rolls Royce engines generate), you’ll need people capable of interpreting and making sense of it! Will your new offer impact on existing health and safety or other legislation (food, financial security, etc.) It could affect your insurance premiums. Again, the key realization is that servitization requires a strategic reassessment of the business. How could you Servitize your manufacturing business? It’s important to define this. To me, it’s anything a company does to supplement services to its products offerings. In some cases that moves products from a capital to an operating expense for its customers, reducing their initial financial outlay and increasing predictability of costs. In others it allows the business to generate competitiveness or increase market reach. New technology is often at the heart of these advances, offering either novelty or efficiencies through automation. A self-cleaning aircraft toilet, or tyres which ‘know’ when they are flat or balding, for example, are natural game-changers. Here are some typical options. Service around the product - We’ve already looked at GE Healthcare, Rolls Royce and Xerox. Another good example is Man Truck and Buses who offer total fleet management as well as vehicles? To provide service around the product, an organization needs additional human capacity. Think consultants, sales people and other specialists require to deliver the service. Software around the product – Apple iTunes is a great example. For anyone who buys an iPhone – or bought an iPod in the early days - iTunes is both the application to transfer music, but also the gateway to purchasing music in Apple’s proprietary AAC format. The product and service are symbiotic. Product around the product – Take a look at Amazon’s ‘Dash’ product, which arrived in the UK in August 2016. It’s a one-touch button re-ordering service currently aimed at FMCG goods. Running out of washing powder? Just hit the ‘Tide’ button to get more delivered within 24 hours. Being tied to Amazon means a seamless experience, as your address, payment and delivery preferences are already stored. Technology affords manufacturers more options to servitize than ever before. With a bit of smart thinking, you can grow an entire ecosystem around your original product, removing customer complexity, solving problems and simplifying their businesses. We’ve all heard about the Internet-connected fridge that orders your milk. It’s time to separate the hype from reality and look at how business is starting to use Internet of Things to add service to their products. ESAB – originally a Swedish firm, now American owned - is a global welding supplies organization. Their business is split into equipment (Welders and Cutters) and consumables (the wire required to weld with). WeldCloud is their first IoT offering. It works by installing a sensor in the power supply (which can even be retroactively fitted). The sensor monitors both the equipment and welds, all of which can be visualised on mobile devices through the Cloud. They’ve overcome issues with legacy systems by offering a 3G-connection option, which can bypass existing infrastructure completely. Traceability: To my mind, one of the key benefits is added traceability. Take the Ekofisk Oil platform disaster in 1980. The structure capsized due to a ‘fatigue crack from the double fillet weld’. Arguably, this is down to poor inspection standards as much as weld quality, but it goes to show the importance of knowing who did what. ESAB’s WeldCloud solution makes it simple to know who was operating equipment at a given time. If that’s cross-referenced against a task list, it’s straightforward to know what the operator was doing and where. Maintenance: The sensor reports unusual activity and power spikes and can be set to provide maintenance requests. Two Way Communications: Having tried welding once myself, I can assure you it’s requires real skill. In addition to monitoring what the equipment does, WeldCloud can also make subtle system alterations to improve the arc quality, by assessing the work being done and comparing with “back at base” information (e.g. best practice, reference documents) and then altering parameters to improve the outcome. Where this gets interesting is what it means for future developments. Could WeldCloud be integrated with, for example, welding cooling sensors to regulate water flow on ancillary equipment? If you were a kid in the 1980’s (like me) and owned a computer, you might remember the issues of sharing games if you owned say, a Sinclair Spectrum with friends who had a Commodore, BBC or Amstrad? Not only could you not share the games, but the operating systems were completely different too. The challenge going forward for IOT is in having open standards between manufacturers. We’re used to the idea of ‘Open Source’ software for today’s computers, but progress is far more limited in industrial equipment. In any case, companies are only just beginning to understand what the connected use cases for physical products might look like. If you want to turn your product lines into service offerings, they need to behave differently. They need to be connected – because they will almost certainly be sending data back from your clients’ working environments. There are sensors for many things nowadays. I counted the number of possible sensors in a range of mobile phones. Including Camera and Microphone, it came to 14. As well as Acceleration, Chemical, Electric, Force, Motion and Pressure, one model even included a Radiation sensor. It’s one thing creating and recording data. It’s another making changes to the product on the fly. That’s where Actuators come in. Actuators are the part of a machine that moves or controls a mechanism or system. They can be electrical, hydraulic, magnetic, pneumatic or thermal among many others. In summary – Let’s get real! Adding services isn’t something to be taken lightly; whether those services are automated or not. Your sales cycles will be longer. Customised products will require new capital expenditure. You’ll likely need a change of mindset and new recruits to make it work. Oh, and whatever you do will likely be subject to regulatory oversight. Despite the challenges, servitization presents significant opportunities. The UK won’t beat the Chinese on cost; so adding value through services is a key differentiator in commodity markets. The opportunity for profit through on-going maintenance, repairs and upgrades is attractive, no doubt. And if you’re interacting/tracking with your products for longer, it’s a lot easier to recycle, reuse and dispose of them when needed.